STRASBURG, Pa. -- Authorities say an overnight fire in a chicken house in central Pennsylvania killed about 19,000 of the birds. Fire crews in Lancaster County were called to the blaze in Strasburg Township at about 12:30 a.m. Sunday. 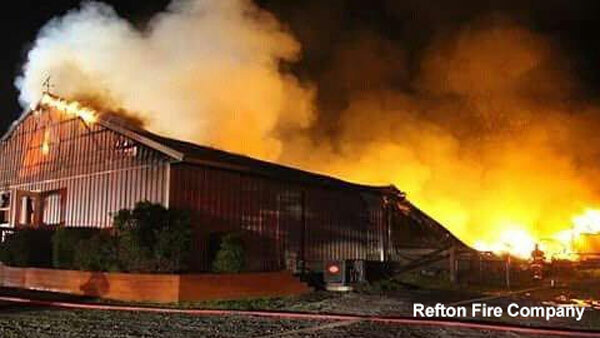 Officials said 19,000 chickens that were just brought in last Monday and housed in the barn perished in the blaze. Chief Wesley Hicks of the Refton Fire Co. said nine engine companies, 13 tanker companies, two truck companies had the blaze under control in about three hours.